Svante Henryson is a virtuose on three instruments alongside his work as a composer of orchestral music. Through improvisation, using many different musical languages, he can move unhindered between genres. 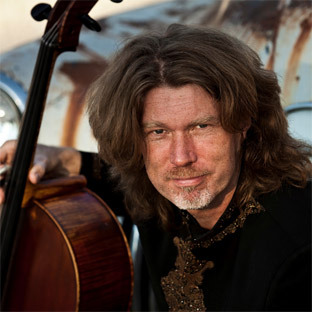 As a cellist, be it in jazz or rock, he makes the cello sound like a natural part of all music. 2010 he was awarded Art-musician of the Year in Sweden for his sonato for solo violin. Now he finally visits Tráhppie Cultural Centre! Tickets can be bought at Tráhppie or over info@sahkie.se. Remaining tickets are sold in the door.